溶解度 ≥35.8mg/mL in DMSO 储存条件 24 months after receival at -20°C in the dark. Transportation: at room temperature for up to 3 weeks. Avoid prolonged exposure to light. Desiccate.
. Ju Hee Ryu, Jin Hee Na, Ho Kyung Ko, et al. 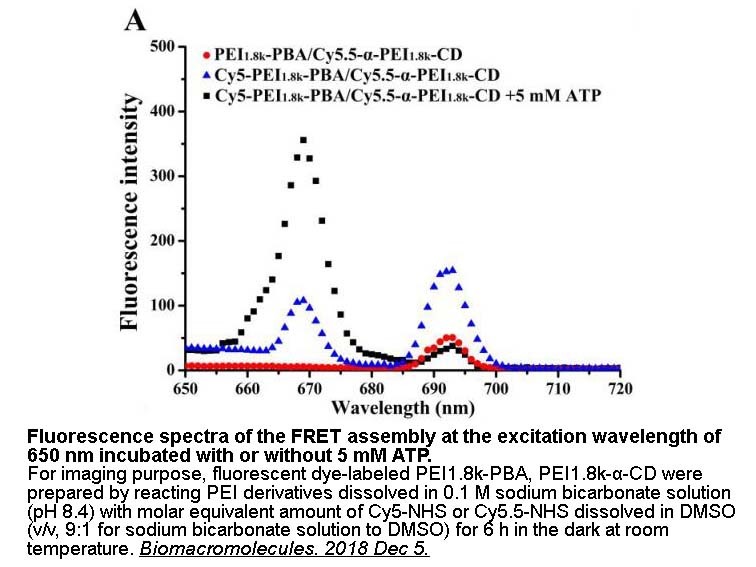 Non-invasive optical imaging of cathepsin B with activatable fluorogenic nanoprobes in various metastatic models. Biomaterials, 2014, 35: 2302-2311.
. Laura-Lee Farrell, Joel Pepin, Cezary Kucharski, et al. 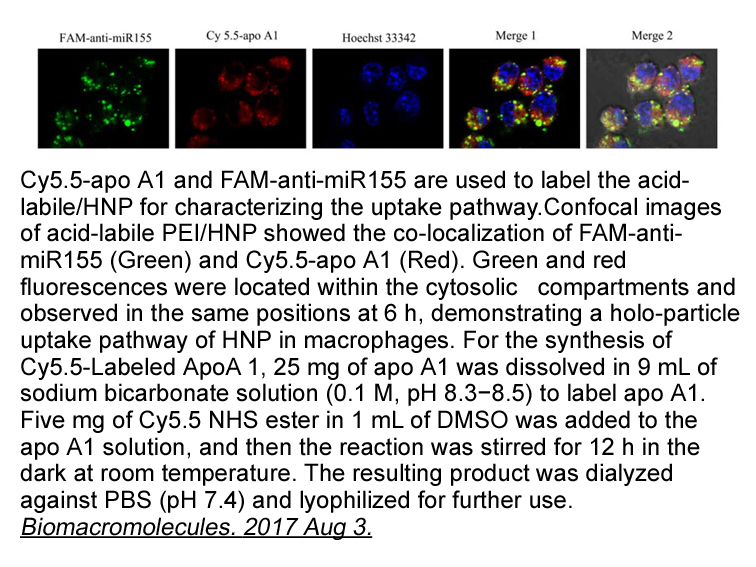 A comparison of the effectiveness of cationic polymers poly-L-lysine (PLL) and polyethylenimine (PEI) for non-viral delivery of plasmid DNA to bone marrow stromal cells (BMSC). 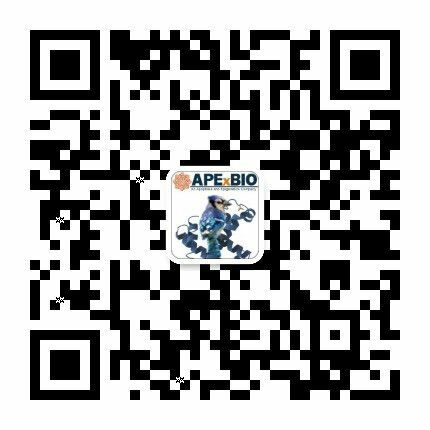 European Journal of Pharmaceutics and Biopharmaceutics, 2007, 65: 388–397.
. Zhen Cheng, Jelena Levi, Zhengming Xiong, et al. 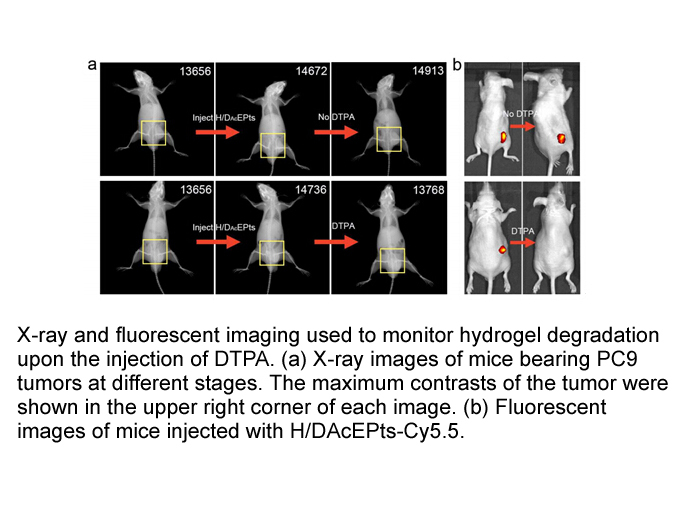 Near-Infrared Fluorescent Deoxyglucose Analog for Tumor Optical Imaging in Cell Culture and in Living Mice. 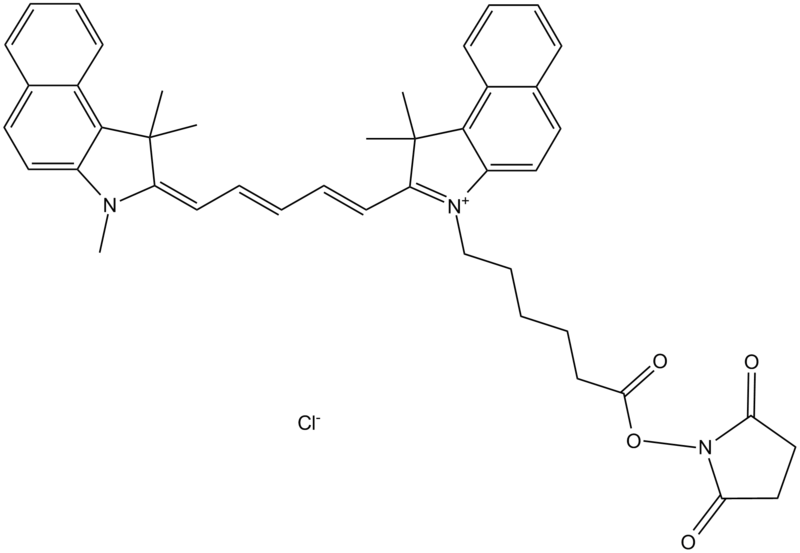 Bioconjug Chem., 2006, 17(3):662-669.